Updated Thursday, Sept. 21, 2017, 12:15 p.m. EDT: Looks like the South Panola School District in Mississippi isn’t buying the ol’ “Oh my goodness, I’ve been hacked!” excuse after an elementary school teacher was caught making racist comments on Facebook. 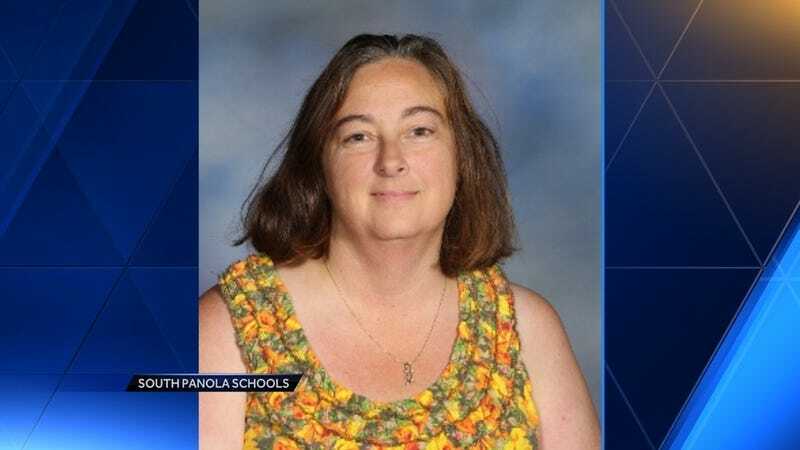 Cammie Rone, who taught at Batesville Intermediate School, has been officially fired after commenting that African Americans should move back to Africa if they don’t like the way things are in the United States. Rone tried to claim that she was “hacked” but ... officials weren’t about that life and gave her the boot. Bye-bye, Cammie! Don’t let the door hit you on the way out. A Mississippi elementary school teacher is catching the heat after a racist post appeared on her Facebook page saying that black people can “move back to Africa” if they don’t like the way the country is going. You know. The usual thing. Of course, Rone is claiming, “Not me!,” insisting that her page was hacked and that this kind of stuff is not her usual posting M.O. “If anyone knows me I post about cows, recipes, and home improvements. Not racism,” she wrote in a follow-up post. Rone, who teaches at Batesville Intermediate School, is currently on leave while the district investigates the incident. Read more at WTVM 13.